I posted earlier about a new highest ever bonus on the No-Fee Amex Hilton card, and now the Surpass card also has a best ever offer. The 100K offer has kind of been the standard offer for the Surpass card recently, but Amex has made it even better, by adding a free night. The free weekend night award will be sent as an email from Hilton to the email address listed on your Hilton Honors account within [6-8 weeks] after the first anniversary date of the Card account. This means that you’ll have to pay that second annual fee in order to receive the free night. This card gives you an extra 20K points compared to the no fee card and you’re paying a $75 annual fee. That works out to 0.375 cent each which is almost as high as the value you’re get from Hilton points. But the free night for another $75 on the second year adds more value to this card. You should easily get a 2-3 times more value out of that free night, so if you’re on the fence about which card to pick, you should go with this one first (or both). 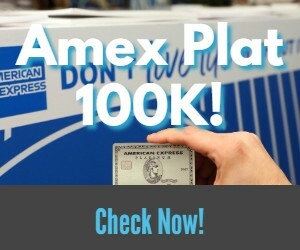 American Express has been very agressive with bonuses lately. We have seen seen recently best ever offers on both of the co-branded Hilton cards and both of the SPG cards as well. This is a very attractive offer, especially if you already have Diamond Status which gets you upgrades and breakfast at lots of properties. Next articleBest Hyatt Category 4 Properties by Value: Maximize Your Free Cert Redemption! This is still not a real good offer. Hilton points are worth an appalling 0.4 cents each. The bonus is only worth about $400. Starwood points have a value of 2.2 cents each and Hyatt points are worth 1.5 cents each for comparison. I agree this isn’t the best offer we have ever seen (although it is the best we have seen on this card), but a $400 bonus plus the free weekend night is fairly valuable. You also add in Amex Offers and Gold status (for someone who doesn’t have it) and this is a good deal. Again, not on the level of a Platinum 100K offer, but something worth considering if people are in the market for Hilton points. I am not clear on the wording of the free weekend nite benefit. Is the free weekend nite a one-time benefit after the first anniversary or is it a recurring benefit after each anniversary.